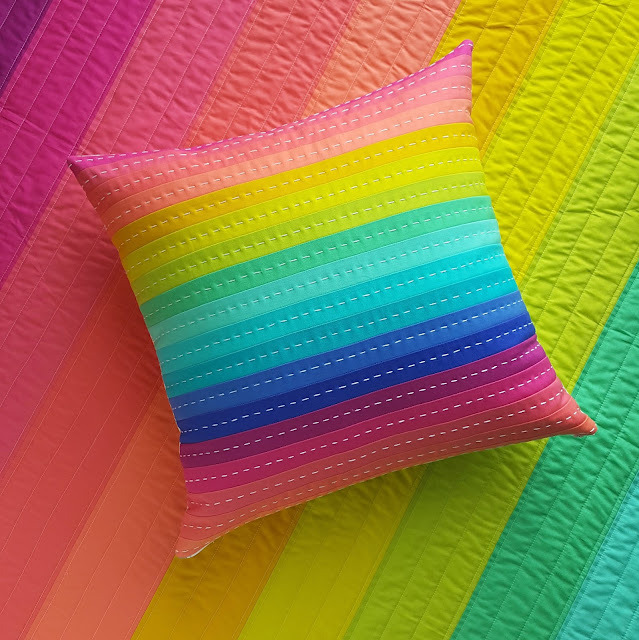 Today we are talking rainbow quilts! I find such satisfaction in sewing colors into rainbow order. 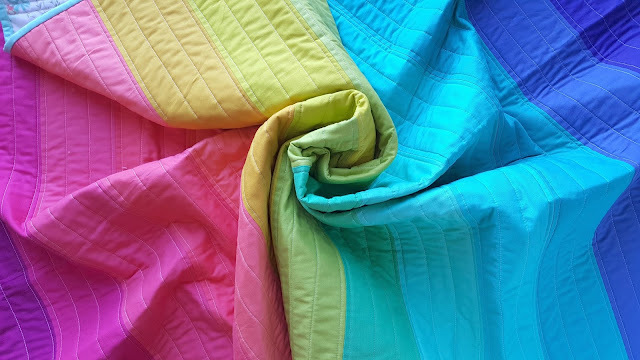 I've started a little tradition of making rainbow baby quilts for charity, you can see some of them here. Remember last year when I made this twin sized simple striped rainbow quilt using soft muted colors? There's a free pattern for it if you missed it! 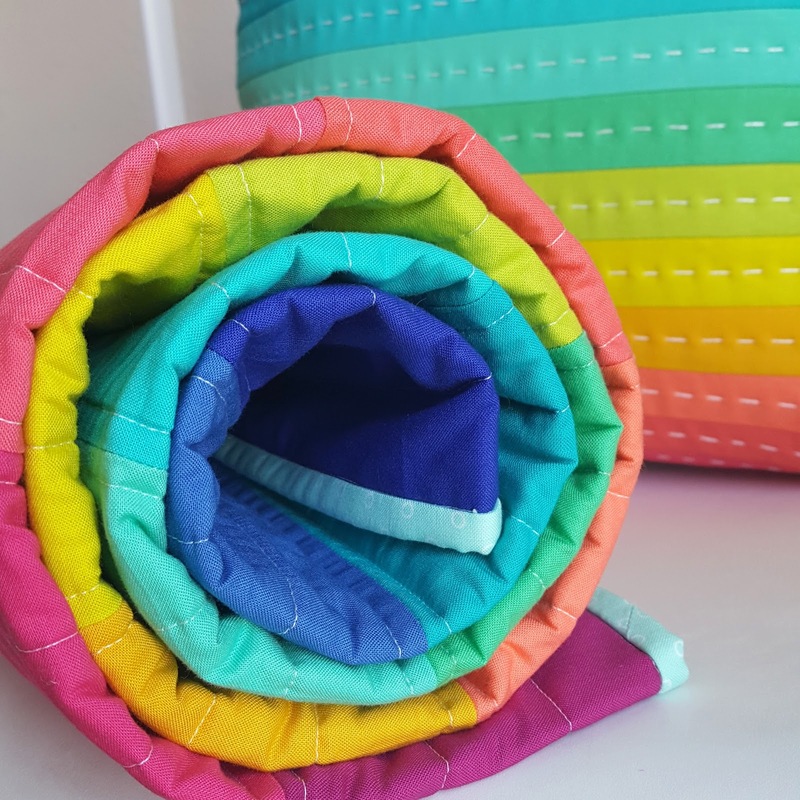 Fabric Bubb still has color bundles too. 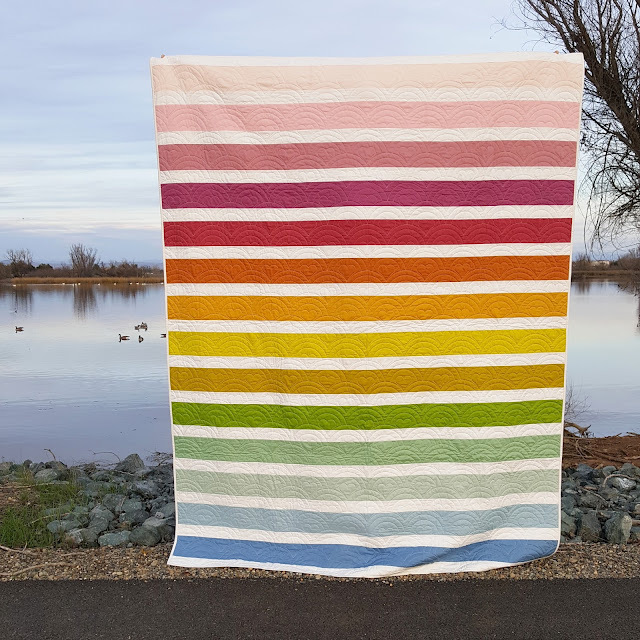 It was such a fun project that I wanted to do something like that again, but with a brighter rainbow this time. Because I need two baby girl gifts right now, I took the same cuts, and instead of a twin sized quilt like I did with the muted colors, I created two smaller quilts and a pillow. 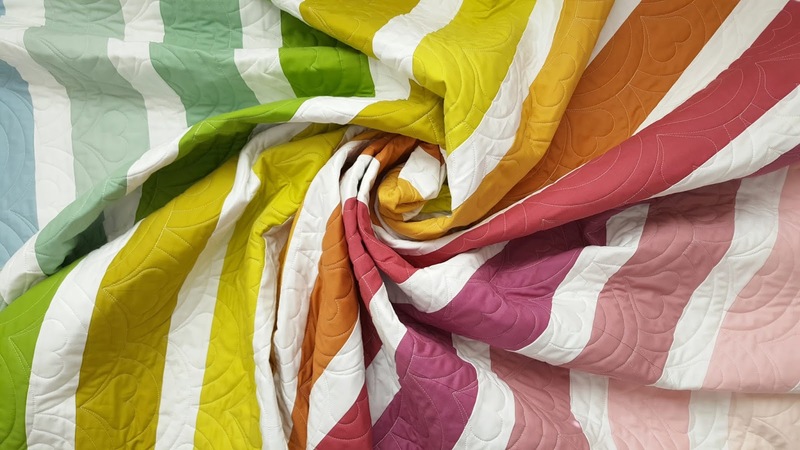 The quilts are a generous crib size at about 42" x 56". 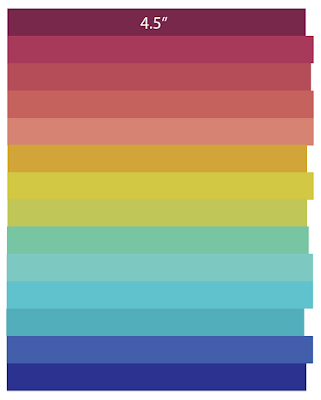 Before I share how, let me say that Stash Fabrics is carrying kits for the bright version, as well as the muted colors. They will also be giving a kit away on Instagram for one of their #workingmystashoff February participants! 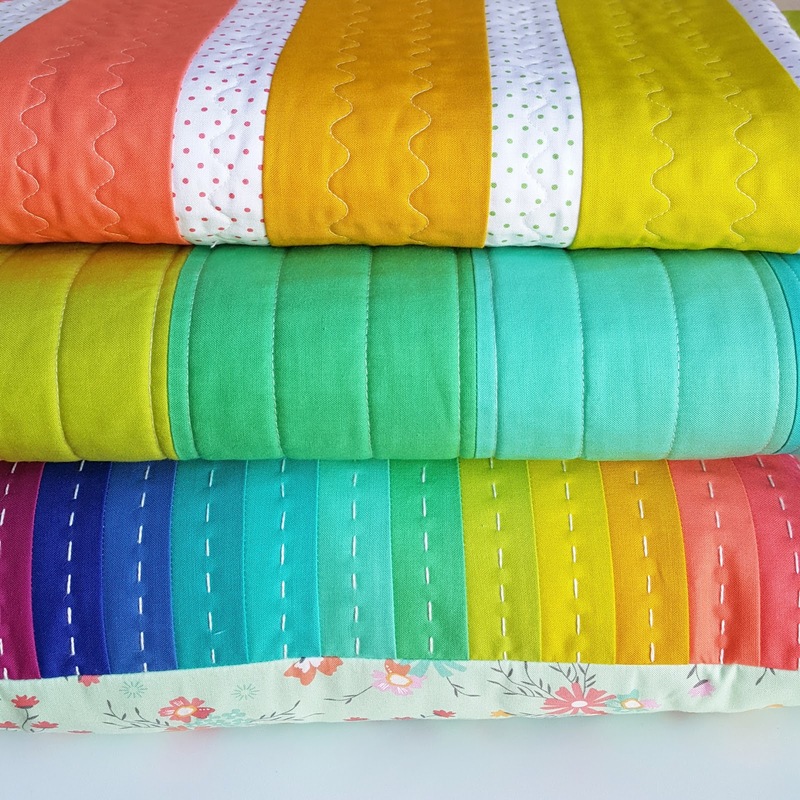 You could use either bundle for either project (the twin sized quilt or the trio of smaller projects). Alright, on to the trio of small projects. You start with 14 quarter yards. I got mine all from Fabric Bubb or Merrily We Quilt Along, and I had no problem with the last cut. 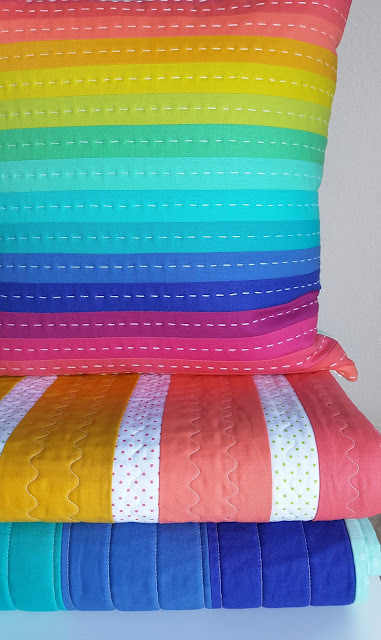 If you don't think your cuts are going to be straight enough to be sufficient, and you definitely want to make the pillow, you'll have to forego one of the crib quilts. You could make several pillows in that case! Now I will describe the process for each individually. 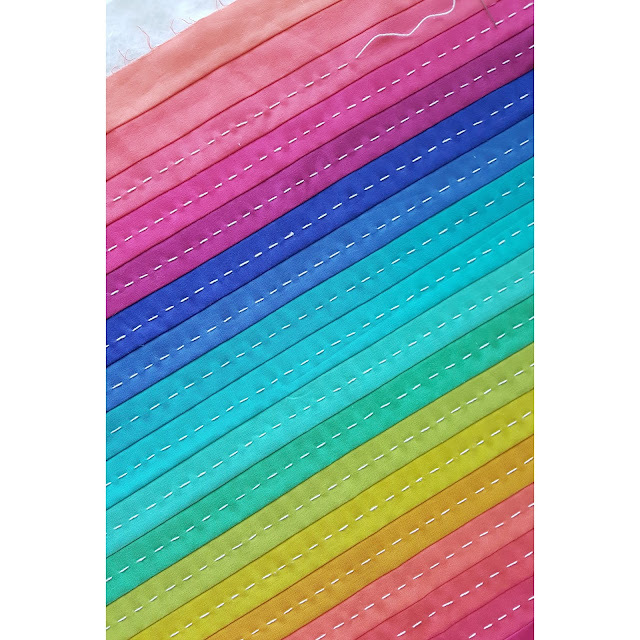 Sew your (14) 4.5" x WOF strips together in rainbow order with a 1/4" seam. If you use the bundle that I did, some of them come from different manufacturers and therefore won't all be the exact same width of fabric. That's ok! When you're finished sewing them all together, press seams either to one side or open, it doesn't matter. I pressed to one side. To trim up the sides, fold your pressed top in half right sides together, parallel with the stripes, and line up the top and bottom edges. 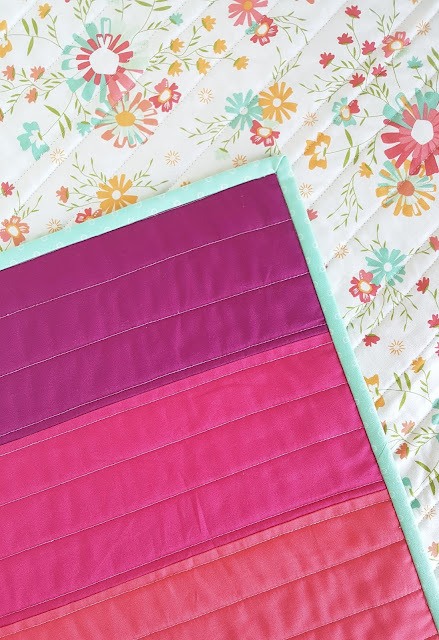 Now line up the bottom fold with a line on your cutting mat, and using the perpendicular lines on the mat, trim both sides of the quilt top. When you unfold it you should have perfectly straight edges if you've sewn and folded carefully. Baste, quilt, and and bind as desired. For this one I did simple straight lines on my Juki TL 2010Q. It quilts so fast! 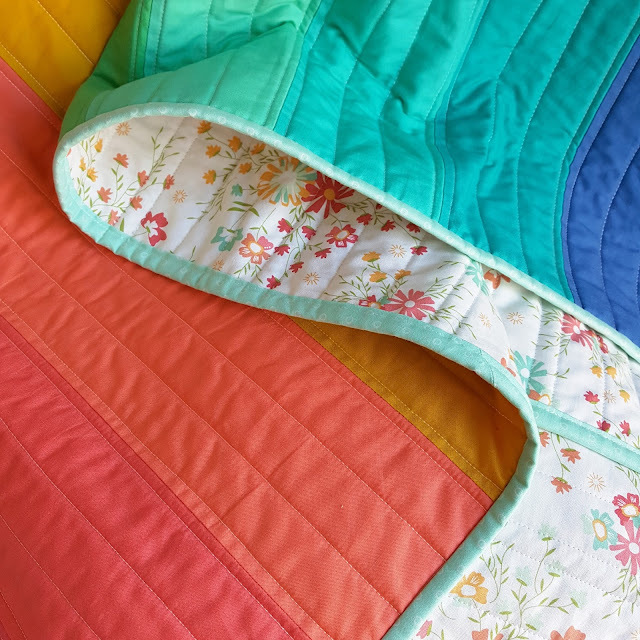 I started by quilting 1/4" on either side of the seams, and then added two rows of quilting within each color. At first I used my Hera Marker to mark the lines, but ended up giving up on that and eyeballing the rest. That's pretty much a metaphor for my whole life right now, ha! I backed this one in a gorgeous floral from Sunnyside Up by Corey Yoder for Moda. I used a Bonnie and Camille Smitten aqua dot for the binding. 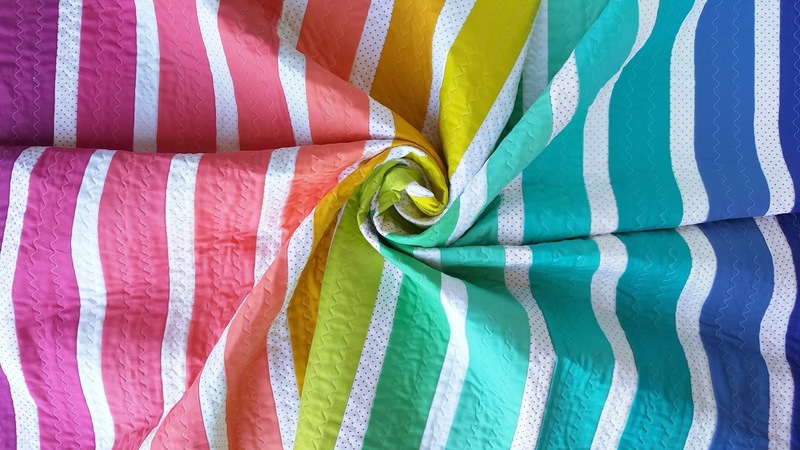 Sew a 1.75" x WOF white sashing strip to the bottom of every 3.5" x WOF color, except the very bottom one. Press away from the sashing. Now sew those pieces in rainbow order. 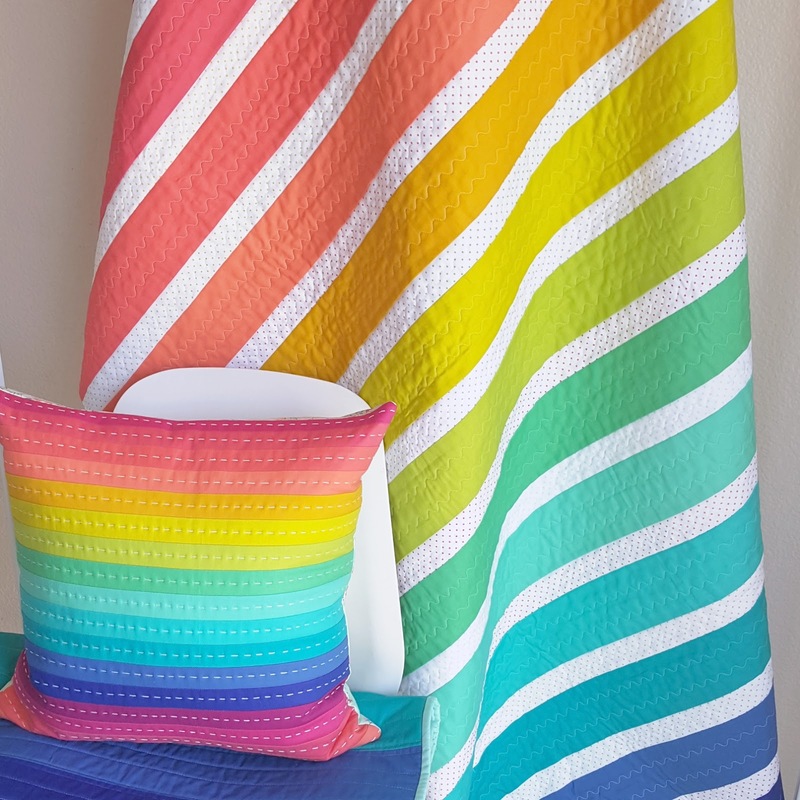 Like the simple striped quilt, you will probably have different widths of fabric, and that's ok. Trim in the same way described above. Finish the quilt as described above. On this one I used the automated squiggle stitch on my Husqvarna Viking. I used Swiss dots in multiple different colors on white for the sashing, grey Swiss dots on the back, and aqua dots for the binding. 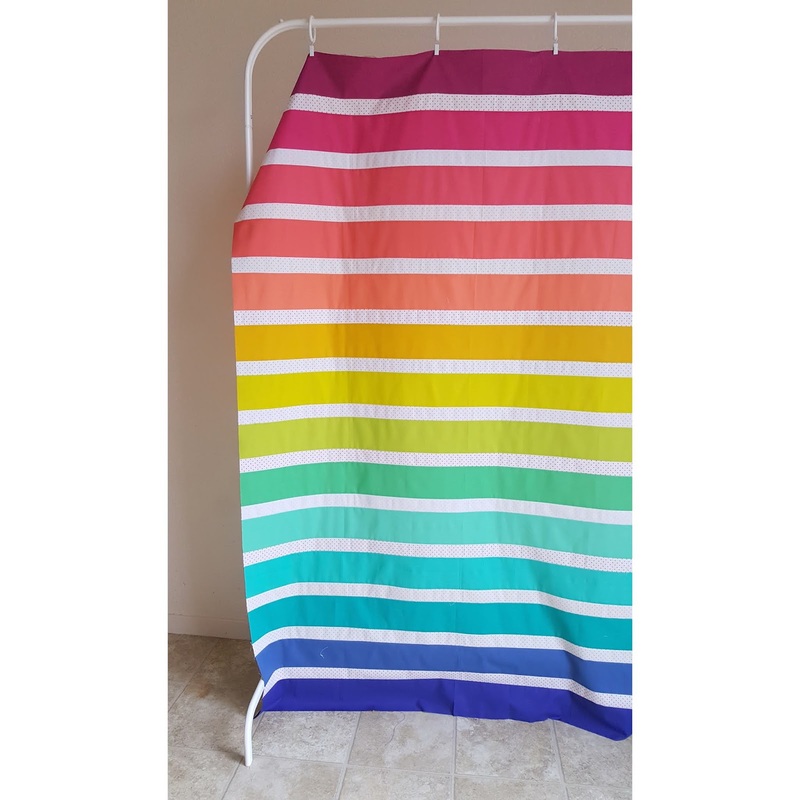 Choose (18) 1.5" x 20" strips that you want to use for your rainbow. 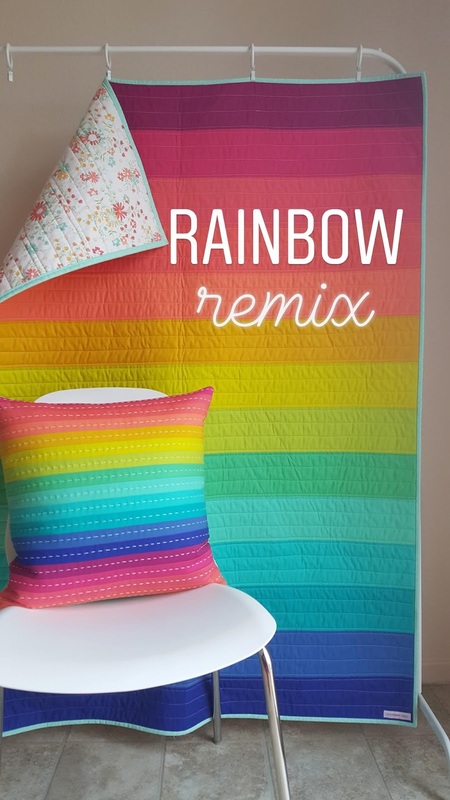 You'll need duplicates of 4 of the colors, but you can start and end your rainbow wherever you want. I started with the hot pink (second color in the quilt) which meant I ended with the lightest peach. Sew all the strips together in order. Baste to batting and quilt as desired. I did a simple hand quilted running stitch with white friendship bracelet thread. You can buy a big bag of lots of colors very inexpensively. These ones I really did want to be quite straight so I marked the line with a disappearing pen and then stitched along it. You can read this more detailed hand quilting tutorial if you need to. Trim to 18" square. 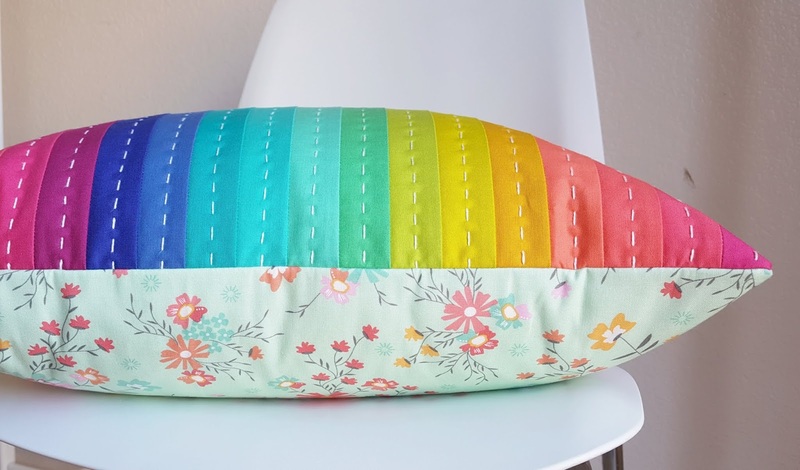 Finish the pillow with a backing and zipper closure. I have a zipper tutorial video for pillows on my Instagram highlights. It's not professional by any means, I've got a long way to go in the video department! But you'll get the idea for sure. There is also a step by step photo tutorial in this post. I always buy pillow forms at IKEA because they feel great and are inexpensive. The 20" down forms are perfect for 18" covers, you want your cover to be a bit smaller than the form for the perfect squishiness. I backed mine in the same Sunnyside Up print, but on aqua instead of white. The dots in the sashed quilt are all Riley Blake Swiss Dots in nearly every color on white. I didn't use red, black, or navy, but I used pretty much all the others, which are just in my stash. Alright, I think that covers it! Please let me know if I've overlooked any details in the comments, I haven't been sleeping much lately! 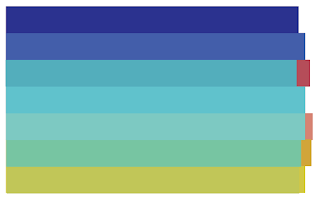 Thanks for much for the color list. I found everything I need at fatquartershop.com including the Swiss Dots. It looks like the shocking pink is a Bella Solid though, not a Free Spirit.